Everyone has probably heard a lot about the United Arab Emirates. However, there are certain things that you do not know about before you visit the country itself. On the other hand, there are things that you only get to know once you stumble upon them randomly – while reading a blog such as this one, perhaps. Here are 10 random facts that you probably did not know about the UAE. These might motivate you to apply for a UAE visit visa and come to spend from a month and up to 3 months in this beautiful land. 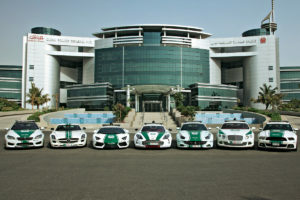 The fleet of the police force in Dubai includes luxurious cars such as Lamborghinis, Bentleys and Ferraris. Makes speeder chases way more exciting. Dubai has ATMs from which people can withdraw gold bars. Gold bars! 3. You cannot buy liquor in Dubai, even if to enjoy within the comfort of your own home, without obtaining a liquor license. 4.His Highness Sheikh Rashid received a question about the future of his city, Dubai; his responded by saying that both his grandfather and father used to ride a camel, and that he drives a Mercedes. He said that his son will drive a Land Rover, while his son’s son will also ride a camel. Interesting answer. 5. People who live in the highest building in Dubai (in the 80th floor and above), break their fast 2 minutes later than everyone else in the city during Ramadan, as they can still see the sun for those couple of minutes. 6. Even though they are one of the most major exporters of oil, the UAE is also a major investor in solar power. 7. 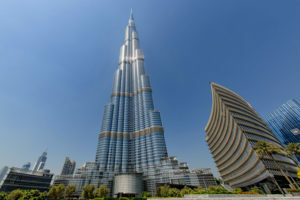 Burj Khalifa, the highest building in the world was inspired by the design made by Frank Lloyd Wright in 1956, as he planned to build a building in Chicago that would have been twice the height of Burj Khalifa. 8. It is called the United Arab Emirates, while, in fact, the Arab population in the country makes up no more than 14% of the total population. 9. Manhattan’s most famous building, the Chrysler Building, is mostly owned by Abu Dhabi. 10. A city is being built at the moment within Dubai that will completely rely on solar and some other renewable energy sources. Its ecology is said to be of zero-waste and carbon, and will also be sustainable. 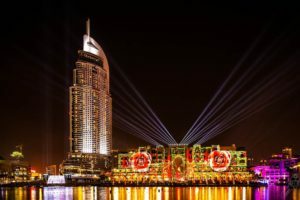 If you wanted to come to visit Dubai before, we bet you cannot wait to come to explore UAE now! Watch more how you can bring your family to this beautiful country. The Emirati food is a fusion of many cultures. It's here where all the spices and flavors have been put together to create something exceptional and delicious.